Do Green Field Peas Count as Vegetable or Starch in Diabetic Diet? You might know it better as the cowpea or blackeyed pea, but the crowder pea is a type of bean commonly found in southern cooking. Adding the crowder pea to your diet helps you boost your nutrient intake. Not only is the bean a good source of fiber, but it contains a rich supply of protein, magnesium, folate and B vitamins. When it comes to eating healthy, you want to make every calorie count, and that means eating more nutrient-dense foods like the crowder pea. With just 80 calories in a 1/2-cup cooked serving, the crowder pea provides a number of essential nutrients that you need for good health in a relatively small number of calories. Including more beans or other nutrient-dense foods in your diet is a good way to improve health. A 1/2-cup serving of cooked crowder peas contains 17 grams of carbs and 4 grams of fiber. Fiber is a type of carbohydrate your body cannot digest. Most Americans don't meet their recommended daily fiber needs of 20 to 30 grams, according to the Harvard School of Public Health. Fiber in foods like the crowder pea helps control hunger and blood sugar. Getting more fiber in your diet not only helps you manage your weight, but it may also help lower your risk of heart disease and diabetes. 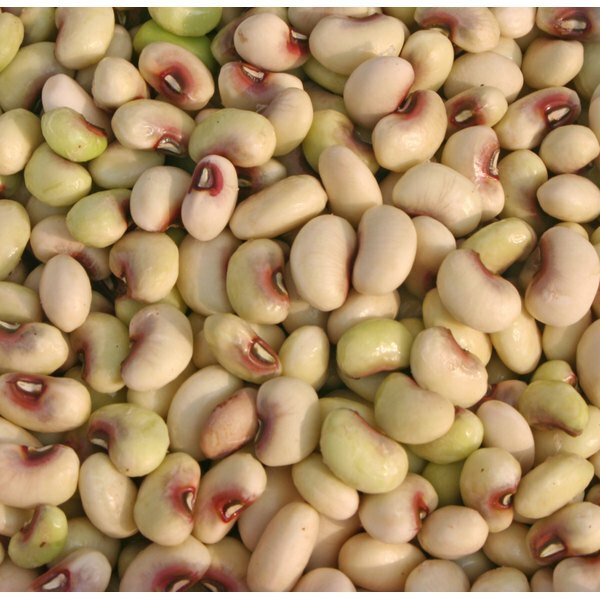 As a legume, the crowder pea is a good source of protein and a healthy alternative to meat proteins. A 1/2-cup cooked serving of crowder peas contains 2.6 grams of protein and 0.3 grams of fat. The crowder pea, however, does not contain all of the essential amino acids, so it is not a complete source of protein. The crowder pea contains a number of B vitamins, including thiamin, riboflavin, niacin and folate. The B vitamins are a group of vitamins that helps your body extract energy from the food you eat. The crowder pea is an especially good source of folate, with 104 micrograms per 1/2-cup serving. Women of child-bearing age need adequate intakes of this vitamin to prevent birth defects. A 1/2-cup serving of the cooked crowder pea contains 43 milligrams of magnesium, meeting more than 10 percent of the daily value. Magnesium is a mineral that is necessary for numerous functions, including regulating blood pressure and blood sugar. It is also needed to make protein and help with the proper functioning of both your nerves and muscles. Is Edamame Good for Diabetics?